My husband and I love traveling. He lived in Germany for several years growing up, and I went to Europe several times as a kid, ultimately sparking a deep love of travel in both of us. When we first got married, we made about $40,000 combined. Not exactly a huge budget for lots of luxurious travel! But still, we were determined to go and those memories are some of the best memories I have. Here's how we've traveled for cheap over the last few years. Flights are usually the first expense people think of when they think of traveling, especially internationally. But the good news is that there are actually a few great ways to save tons of money on flights! To be honest, I recently found out about Scotts Cheap Flights. I haven't used them yet, but I definitely plan to in the future! If you haven't heard of Scott's Cheap Flights, here's the lowdown. When you sign up for their free newsletter, you'll receive a daily email listing the cheapest possible flights their team finds. Some of the flights will have departures from your city, and some won't. 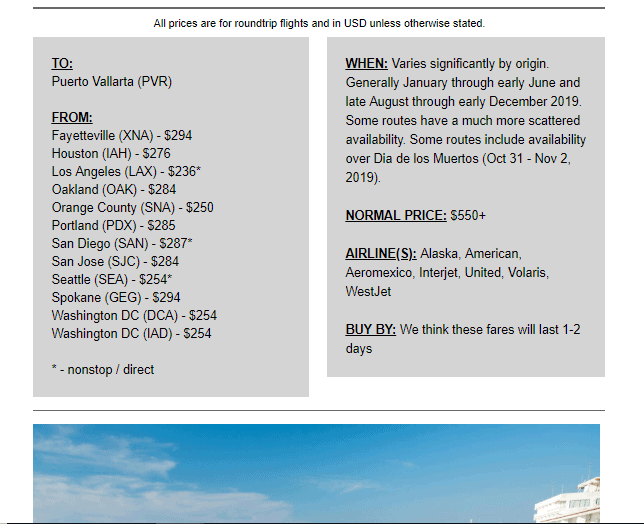 That being said, a lot of the flight deals I have seen are absolutely dirt cheap. I'm talking 280 bucks to fly from the U.S. to Beijing RT type of cheap. If you want, you can also pay the annual $39 fee to get their premium service. The paid service gives you the best possible details including "mistake fares" and peak season deals, and it also lets you filter flights by the airports you prefer to fly in or out of. In the past my husband and I have gotten tons of dirt cheap flights by using travel rewards. Travel rewards are points you get from signing up for travel credit cards and meeting their minimum spend requirements. Travel credit cards typically offer you a sign on bonus of several thousand miles when you meet their minimum spend requirement. 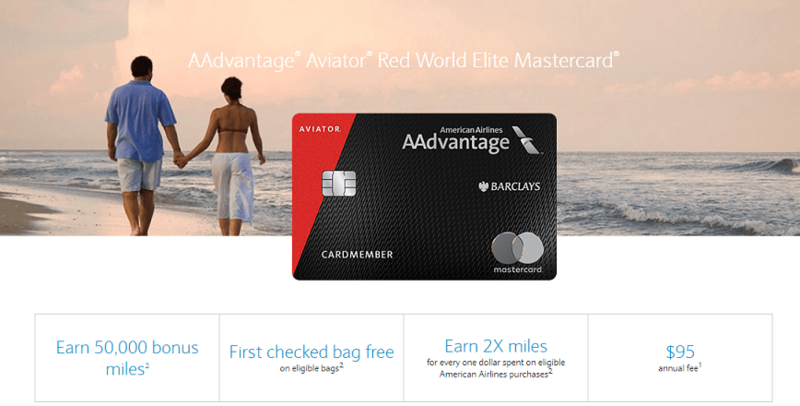 For example, last summer we signed up for the American Airlines Aviator Red card and received 50,000 miles after making a single purchase on the card and paying the $95 annual fee. This was a great deal! I bought a latte to satisfy the minimum spend and had enough miles for a round trip ticket to Europe. Keep in mind that if you have a partner, you are both able to sign up for the same card and each get the miles. So that's what we did! On top of that, oftentimes credit card companies will offer a business version of a particular card with the same sign on bonus and minimum spend requirements. This is an excellent way to get double miles. We did exactly this with the Aviator business card and between both cards, we each ended up with 100,000 miles. That's enough for two round trip domestic flights and one round-trip flight to Europe, each. Huge win! You can view the American airlines flight award chart here to see how many miles you will need for your next trip. 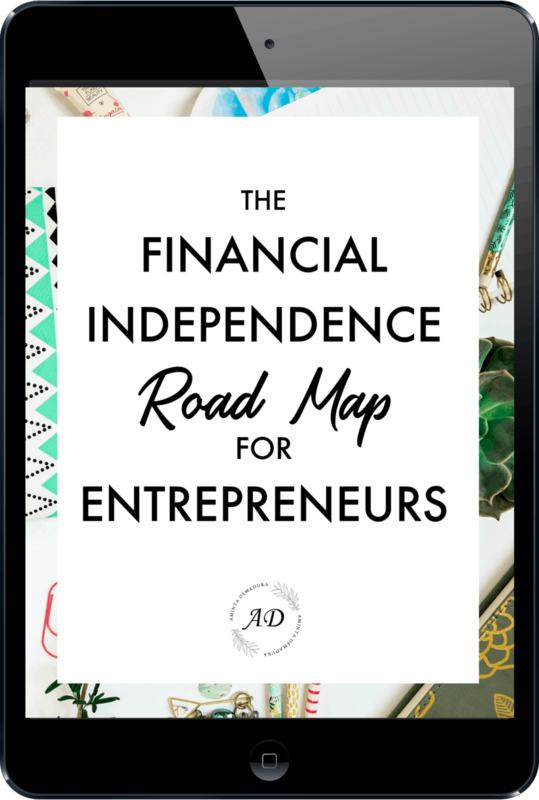 What if you aren't a business owner? There are a lot of things that qualify as a business to get a business card! List your house on Airbnb? You run a business. Babysit other people's kids while watching your own? That's a business too. Sell stuff on eBay in your free time? Yep, you guessed it. That's a business. If you really aren't sure where to start, I highly recommend trying out American Airlines cards first. I have found them to be easy to get, as well as easy to redeem. When you are looking for a card, look for the highest bonus rewards offer you can find that has a reasonable minimum spend for your situation. Sometimes the minimum spending requirements are too high. I pass those up and look for lower hanging fruit. Here are a few tips to keep in mind when looking for the right travel rewards credit card. Avoid British Airways, they have huge fuel surcharges that negate any benefit to their free flights program. Cancel the card after booking your flights if you no longer need it, but not the account. If there's an annual fee, you'll want to close the account to avoid paying it yearly. The best deals are cards that only require a single purchase to give you the travel miles. You'll need to have good credit to be accepted for most travel rewards cards. Don't use travel reward credit cards if you are in debt. Take the time to pay your debt off, and then reward yourself with an awesome cheap vacation! The cheapest flights are 56 days before departure, so try to book then! The cheapest flight days are Tuesdays and Thursdays. Red-eyes and multiple connection flights are always cheaper, so go with those if you can stand the inconvenience. Being flexible on your departure and return dates can get you a MUCH lower price. When you are searching for flights, make sure to clear your browser caches and use an incognito window between every flight website you look at. I always clear my caches and use an incognito window again right before I purchase my flights to make absolute certain I got the best price possible. Ebates is a great way to get 5-10% cashback on any flights you purchase. That's a pretty significant chunk of change when you consider the cost of flights. And, it's free! 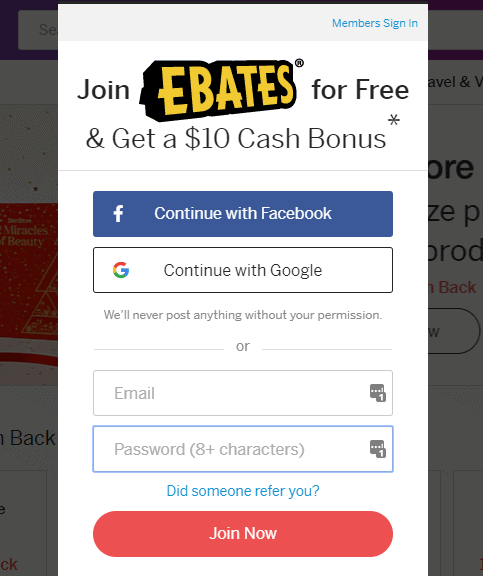 All you have to do is sign up for an account and install the Ebates browser extension. Did I mention Ebates will also give you cashback on nearly anything you purchase online? It's one of my favorite money saving secrets. You can read my full Ebates review and tutorial here. Next to flights, accommodations are the biggest travel expense we think about when planning our trips. Traveling off-season can make a huge difference in the amount you pay for a place to sleep while you are traveling. When we went to Europe a couple years ago, we went in October-November and enjoyed some great weather and much cheaper prices. Besides flying in the shoulder season or off-season, there are a number of ways to find budget friendly places to stay. If you are childless and have a bare-bones budget, couch surfing is a great way to stay for free. On Couchsurfing.com, locals will host travelers for free in their home as a means to get to know people and give back to the traveling community. This might be a spare bedroom or just a couch, depending on the home. I personally haven't couch surfed, but I've heard from many other travelers that it's a great way to get to know the locals and save money. Keep in mind that bringing a gift of some sort is good etiquette in a situation like this. A bottle of wine or a cooked meal goes a long way. And of course, be courteous. Clean up after yourself and thank the host for their graciousness. If couchsurfing doesn't sound like quite your thing, house-sitting is another great way to stay for free while getting your own place. This is an excellent option for parents who have kids in tow and need a bigger space without the cost. Sites like House Sitters and Mind My House allow you to create profiles and find people around the world who are looking for house-sitters to stay and watch their home while they are traveling as well. In most situations, you'll be responsible for taking care of the host's pets while they are away. Note that it's a good idea to create profiles for the sites well in advance of your travels. Some of them require that you host a family before looking for other places to stay. Either way, this can be an excellent way to get a house all to yourself for a week or two or longer without the cost. Read one of my favorite travel bloggers posts on How to Become A House Sitter and Never Pay for Accommodation here. Hostels are a great option for singles and couples who are looking for the travel experience at a low cost. These are a popular option in Europe, SE Asia, and South America, so you shouldn't have trouble finding a good one to stay in. Keep in mind that many hostels come with a bit of a party vibe to them, which may keep you up later than you were hoping. On the flip side, some hostels also offer private rooms, which can be a great way to get some privacy and keep the noise level down. If your budget is a little higher than free, Airbnb is a great way to find cheap stays. Private rooms will always be cheaper than getting an entire place to yourself, and it's not as weird as you might think! Another tip: Consider renting out your own home on Airbnb or VRBO while you are traveling, and you can consider your travel accommodations pretty much free! You can get a $40 Airbnb credit when you sign up here. If you go looking for typical food that is not native to the country you are visiting, you are always going to pay premium prices. Plan on being flexible with your eating and experience some new dishes while you are there! Go to the street vendors. 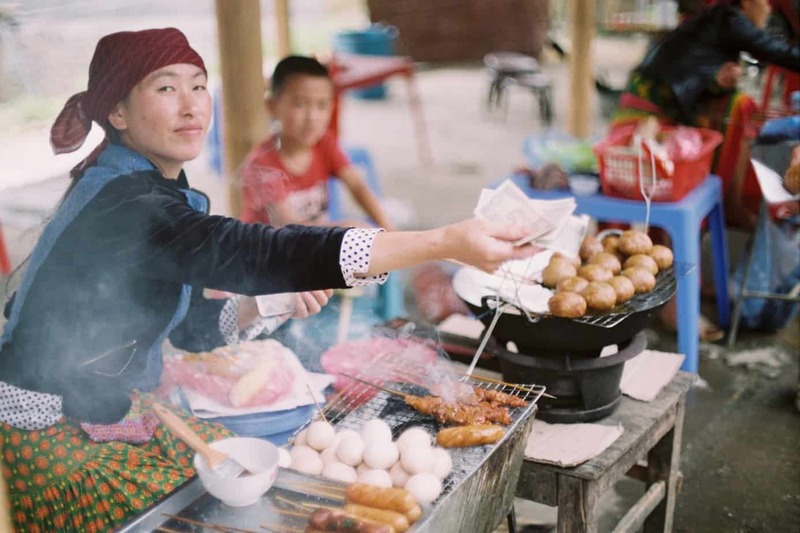 Street vendors offer some of the cheapest and most delicious local food varieties available. Don't be afraid! When in doubt, look at the size of the line. Stick with places that have long lines full of locals and you'll be just fine! Buy cheese, bread, and fruit from the store. Another great way to save money on meals is to picnic. In many countries the markets can be very affordable, and you can pick up bread, cheese, meat, and fruits for a nice lunch at a fraction of the cost to take everyone to a restaurant. This is also a great way to stock up on snacks for later, especially if you have kids traveling with you! Don't eat on the tourist trail. Restaurants and snack stands in super touristy areas will always charge exorbitant prices compared to local spots. If you get hungry while in a touristy area, walk a few streets down away from the crowds and you'll find much better deals. Many restaurants in Western Europe charge the same for a glass of water as they do for soda, so order what you want or wait until you get back to your room. Eating out in Europe is spendy, but fresh bread is cheap and can be paired with cheese, meat, and fruit for a quick and easy meal. Don't snack. Gelato, soda, and pastries add up. Eat three squares per day and you'll save a lot of money traveling. Depending on which country you are in, restaurant hours will likely differ a lot from back home. For example, most Spanish restaurants won't even open until 9 pm. French restaurants often close by 5pm and reopen late. Keep this in mind, especially if you are traveling with kids. We always found that some of the best activities we searched for abroad were cheap or free. Going hiking, laying on the beach, and checking out old ruins are pretty much always free. Yep, Groupon is international! This can be a great way to get half-price activities, food, entrance passes, and more. Stop by the local tourism office when you fly in and grab a tourism card. These cards are full of discounted activities, restaurants, and sights that will save you some serious cash while you are there. Consider buying an all in one vacation package. I haven't tried this one yet, but I recently learned from Jordan Page's cheap travel video that travel packages can actually save you a lot of money if you are traveling as a large group. Avoid the tourist crowd and everything will be cheaper! Pack snacks and sandwiches every time you head to the airport. Airport food is super expensive and you pretty much can't leave once you're inside! Choose less expensive countries. There are only so many ways to save if you just have to go to Norway. 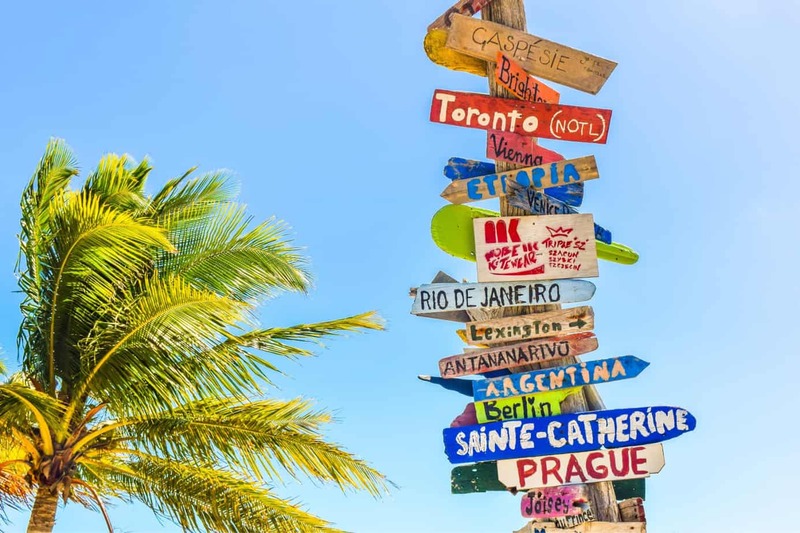 The cool thing is that there are plenty of countries that offer beautiful beaches and fun resorts at a fraction of the price of typical destinations. Think Panama instead of Aruba, and Eastern Europe instead of Western Europe. Travel before your kids 2nd birthday. Babies and toddlers fly free until they turn two! 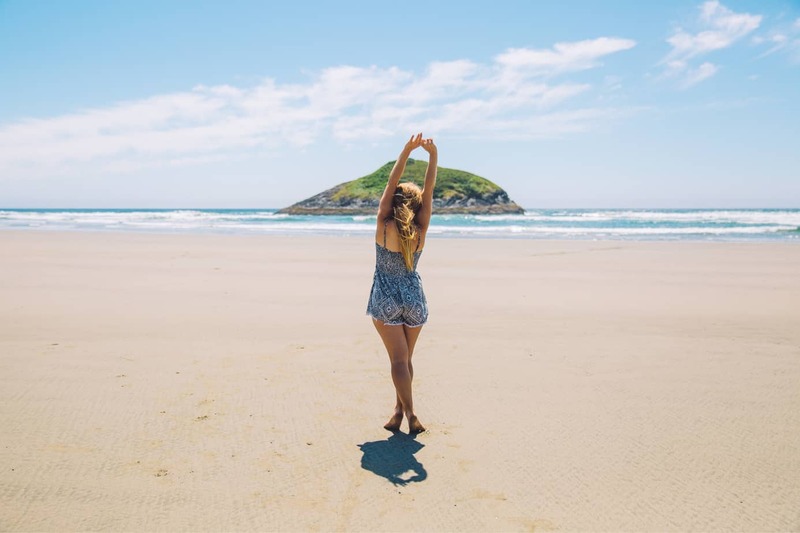 I really hope this post helped you come up with some awesome ways to save money on your next vacation! Travel really doesn't have to be as expensive as we tend to think, especially if you travel slowly and live like a local while you are there. Where is your next travel desti​nation? Let me know in the comments below!